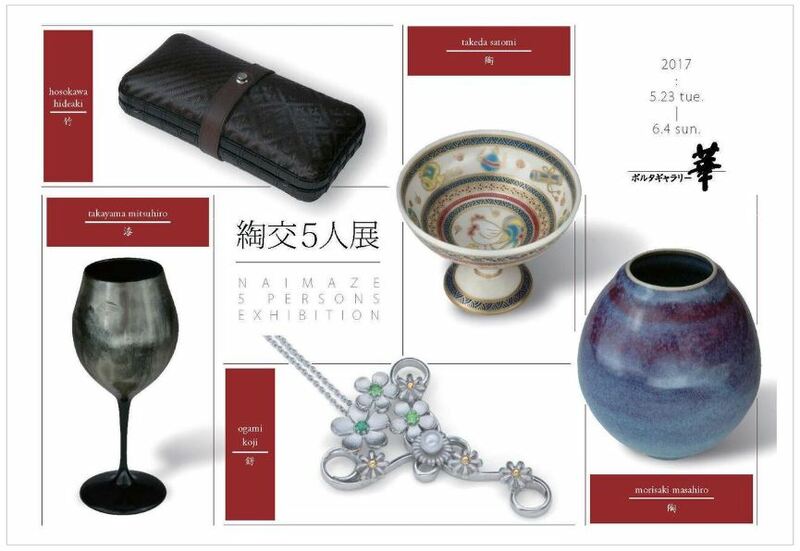 昨日から綯交5人展始まりました。 Naimaze 5perons exhibition started from yesterday. Gallery HANA in Kyoto Porta. Representative each works of 5 craftmen on display at entrance. This exhibition poster’s put on the pillar during the period. Gallery HANA is close by the Kyoto tower! 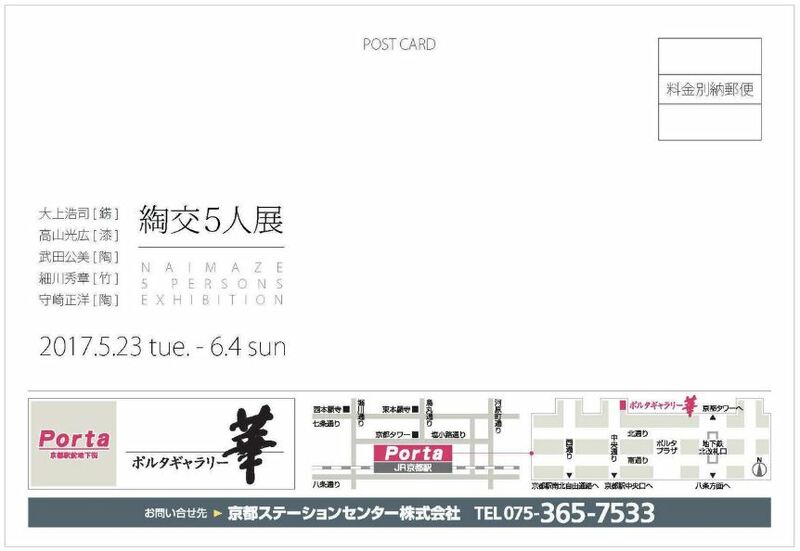 Naimaze 5Persons Exhibition will start soon.